Let's Get Mobile and Independent! Nova and Drive are some of the manufacturers that make products to get you mobile. Let us explore and learn more about your options. 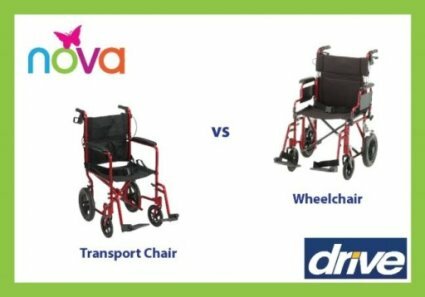 Transport Chairs vs Wheelchairs: What's up? 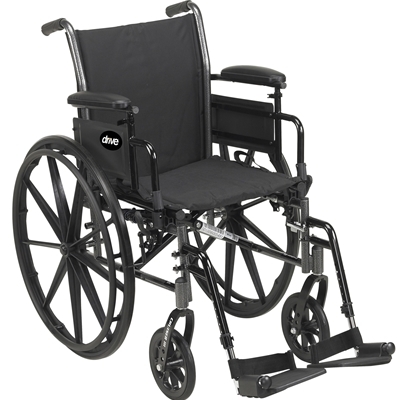 Transport chairs and wheelchairs are similar, but they are not the same. 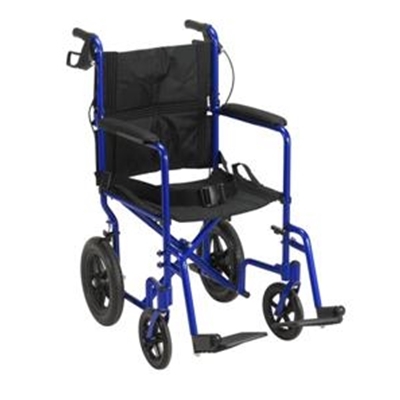 The main difference is wheelchairs have large heavy rear wheels (24in) that allow the user to self-propel. 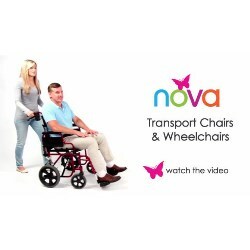 Transport chairs, on the otherhand, have small rear wheels (8in or 12in) so the user can be pushed by a companion. 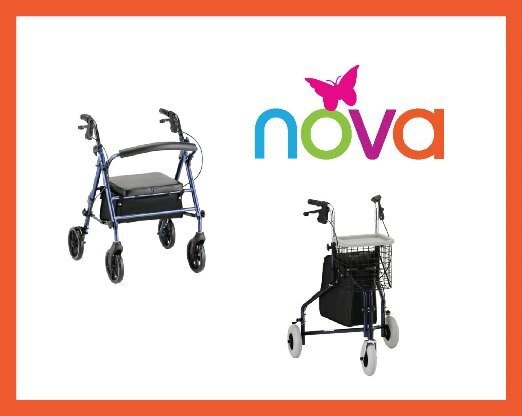 These smaller wheels make the transport chair (aka companion chair) lighter and more compact. 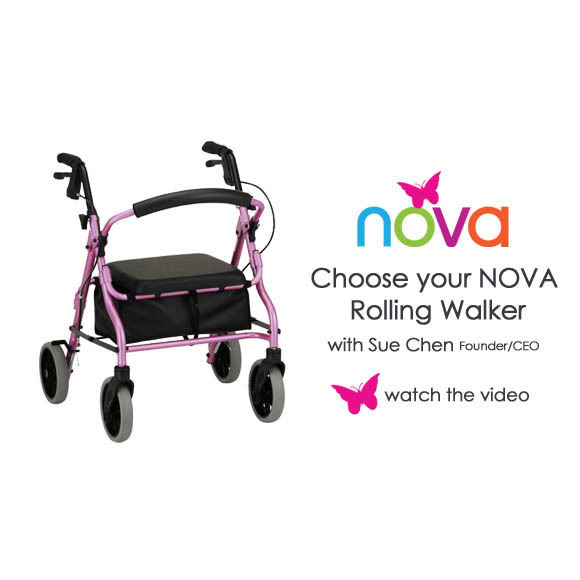 Seat height, wheel size, and color are just a few of the things to consider when picking a rolling walker for yourself or a loved one. Rolling walkers are not one size fits all. 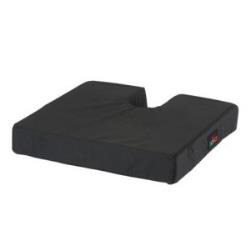 Your feet should both be flat on the floor with your thighs comfortably on the seat. Also, make sure the rolling walker can accomodate your weight. Before you test drive: 1) Make sure the back rest is attached. 2) Adjust the handles to your height where the hand grips are set at your wrist creating a slight 30 degree bend at the elbow. 3) Practice engaging the hand brakes. 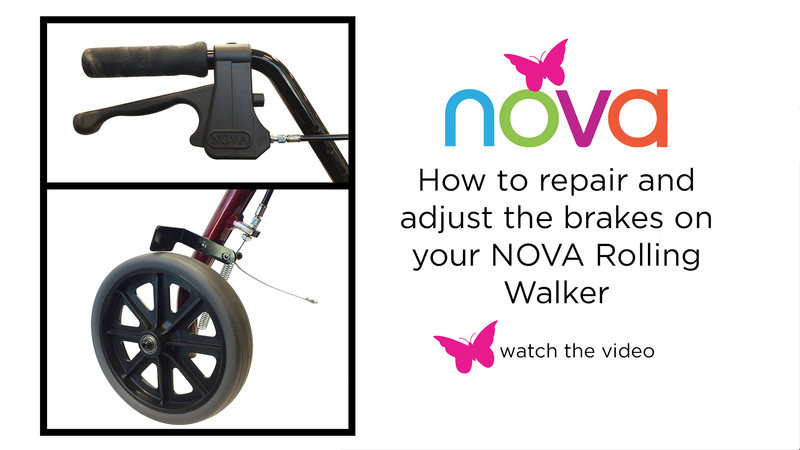 Learn how to re-adjust your brakes to ensure the safety of your rolling walker.